A winning combination of permanent wetlands and abundant resident wildlife means the Okavango Delta is a year-round safari destination. That said, planning when to go to the Okavango Delta should take into account its seasonal nature (June to August is high water season). Located on Pom Pom Island in a private Matsebe concession area of the Okavango Delta, Pom Pom Camp offers superb Okavango scenery and wilderness. 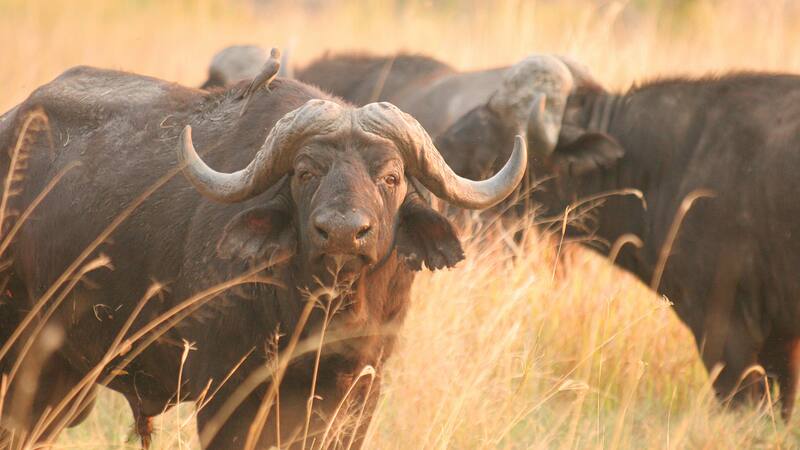 Close to the western boundary of the Moremi Game Reserve, the bird and wildlife are plentiful in the area. The Okavango, with its palm fringed channels and islands supports a wealth of fauna and flora alike. See hippo grunt and frolic in the permanent lagoon in front of the lodge or enjoy a scenic mokoro boat excursion where you glide between the palm fringed islands of the Delta. Pom Pom Camp features a lounge, dining area, bar and swimming pool as well as outdoor boma area. Limited to nine luxury safari style tents, with their own en suite semi open ablution facilities, all uniquely positioned in the tree shade to enjoy the views of the lagoon. Accommodation consists of nine luxury safari tents in true traditional safari style, all with full en-suite semi open ablution facilities. The tents are uniquely positioned under the shade of the surrounding trees with overlooking views of the Pom Pom lagoon. One family safari tent is available which can accommodate four (2 adults and 2 children) with en-suite facilities and within close proximity to the main lodge. Camaraderie prevails around a camp fire each night as bushlore anecdotes are recounted whilst a gracious meal is prepared and elegant wines uncorked. Over hot coffee and perhaps a fine cognac, guests can re-live the day’s events and compare notes on fishing and photography. In the main thatched building a cozy bar and lounge are located. Enjoy imaginative meals prepared by the safari chefs. Pom Pom is one of the camps in the Okavango Delta that is able to offer game drives within our private concession area. 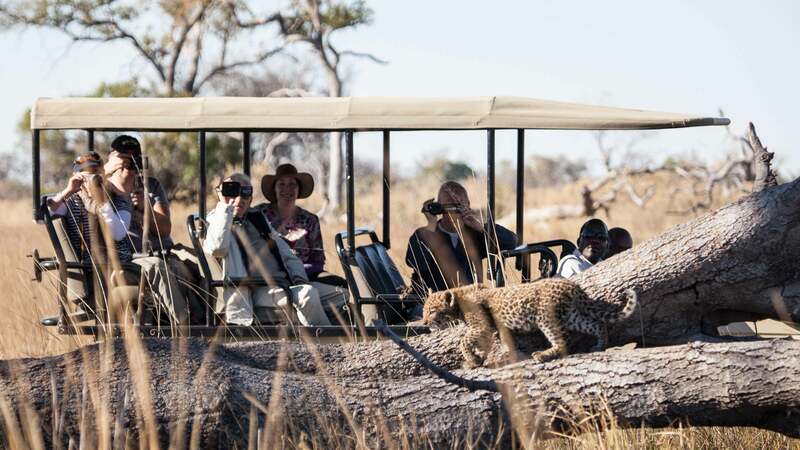 Morning and evening game drives in the company of the qualified guides will give you the opportunity to view all the big game and night life of this environment. 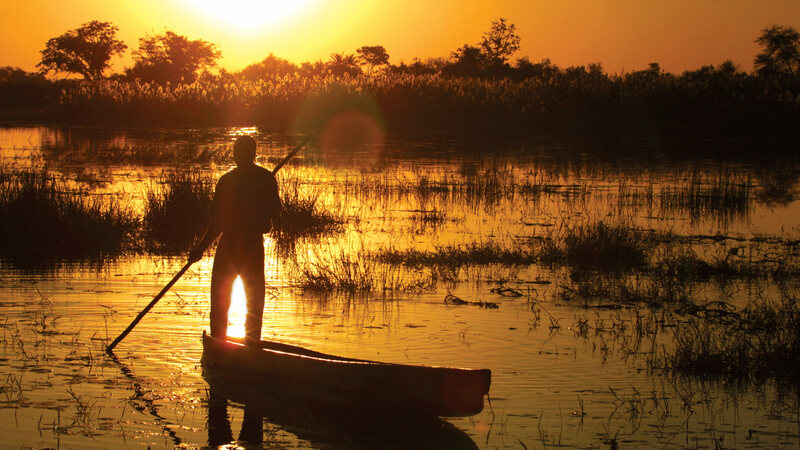 A Mokoro trip is a fantastic way to experience the wonders of the Okavango Delta. Fishing is also possible at Pom Pom, and the guides will be happy to take guests to their secret spots to try for African Pike and a variety of Bream species. Pom Pom Camp is situated in a wonderful location, with spectacular game drives and mokoro trips.